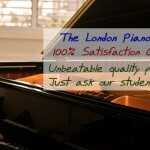 Are you looking for high-quality, top-notch vocal training in London? Perhaps you’ve always wanted to sing, but never really found the time for it! Now there is no more excuse! – we are located 5 minutes from Chancery Lane station! You can finally make your vocal dream come true!